We Know How To Catch Fish!! Ohio’s Western Basin of Lake Erie where Walleye catches are in the millions every year! Experience The Best Walleye Fishery in the World. Lake Erie offers anglers exceptional walleye, perch, and bass fishing year round. 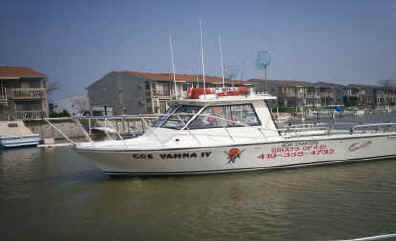 Coe Vanna charters near Port Clinton provides Island Hopper Fishing Charter Boats. These commercially constructed boats are fast and spacious. Providing thirty percent more deck space than the average Lake Erie fishing charter boat. 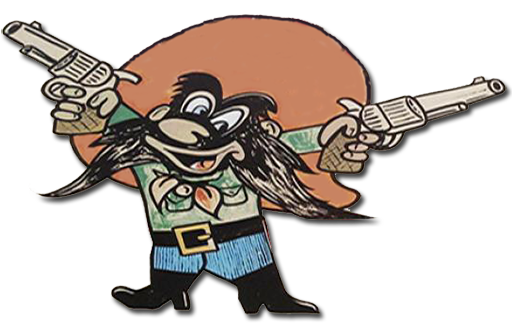 UpGrade Your Six Man Charter Fishing Boat ! Seven Day – Short Notice Savings! Catch the weather and catch Walleye! walleye are in Lake Erie right now. These numbers do not reflect 2018 Walleye ALL Time Record Hatch. View our recent catches under fishing reports. Great walleye hatches from 2014 and 2015 are expected to contribute to exceptional fishing opportunities. Anglers pursuing yellow perch in Lake Erie’s Western Basin will likely find excellent numbers and size. The 2019 Ohio daily bag limit will be six walleye from May 1 through Feb. 28, 2019.The yellow perch daily bag limit will be 30 from May 1 through April 30, 2019.The 2017 walleye hatch was near average, giving the population its third average or larger year class and the 2018 Lake Erie walleye hatch Set a New All Time Record! Limit Catch 54 Walleye Casting Spinners Plus a Cooler Full of Jumbo Perch. Fantastic Day of Fishing on Lake Erie! 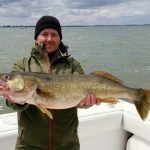 Lake Erie walleye charter fishing trips start just after ice out (mid-March) drift fishing or trolling. This is trophy walleye fishing season for charter boat captains fishing on Lake Erie’s Western Basin- Port Clinton. 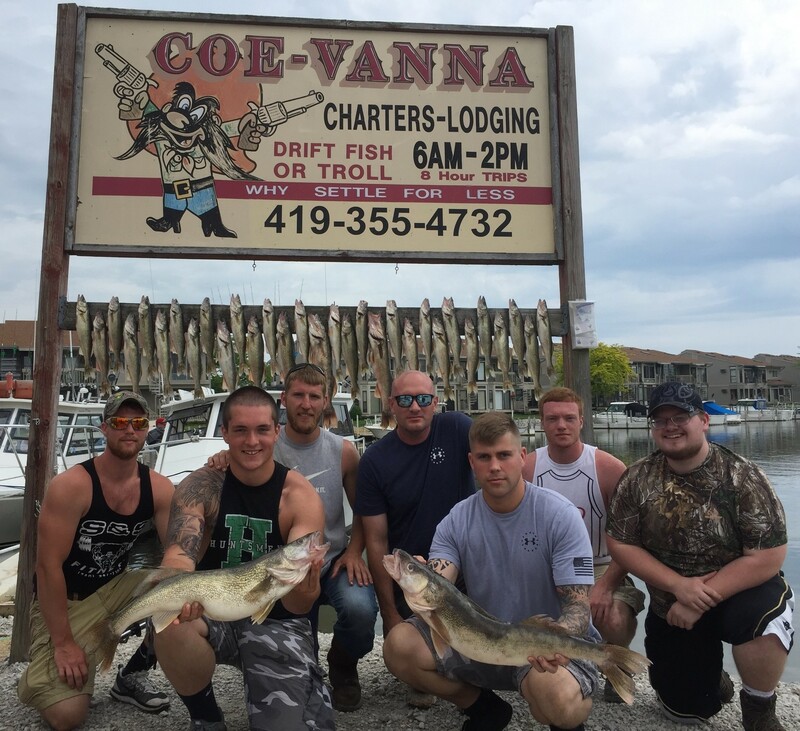 Coe Vanna charter captains are professional Lake Erie walleye fishing guides. 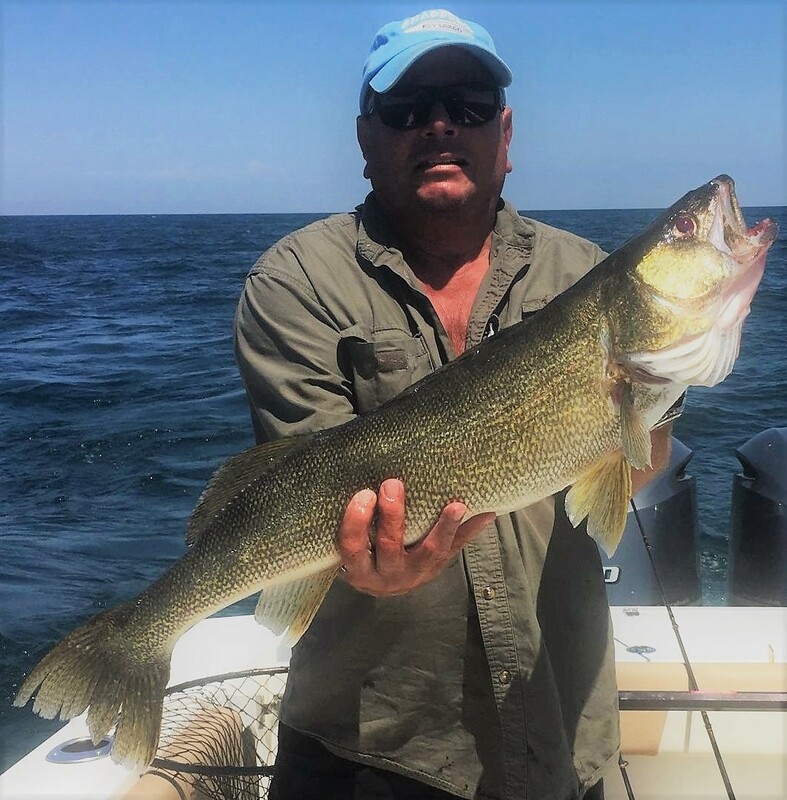 We offer Lake Erie fishing trips specializing in drift-fishing walleye charters using light spinning tackle casting and retrieving spinners. 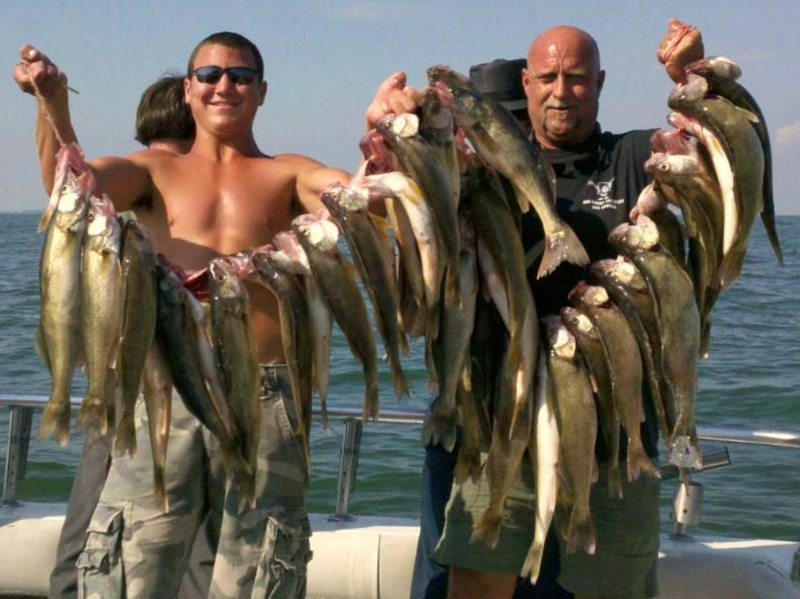 On Lake Erie, it is common aboard Coe Vanna Charters to catch boat limits of walleye. 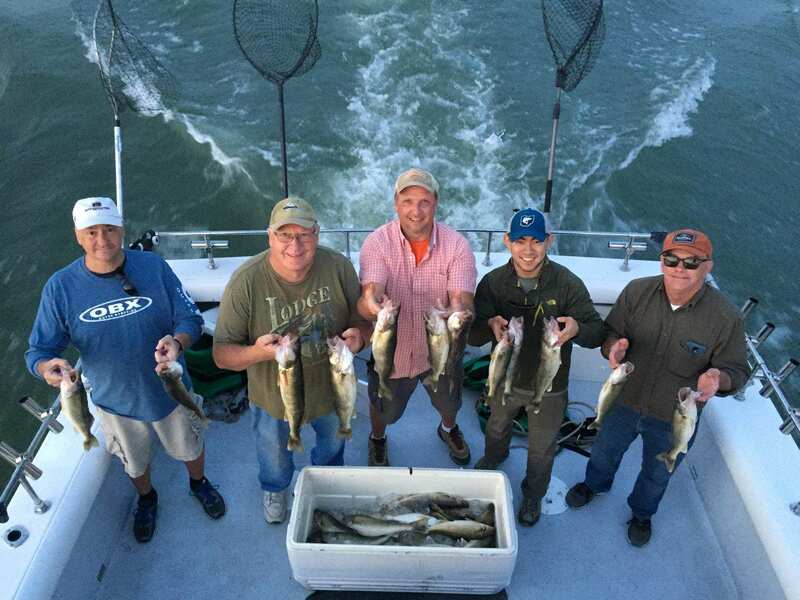 April, May, June, July, Sept, and Oct.
Coe Vanna offers you the best Lake Erie charter fishing options on Lake Erie. Drift fish or Troll – Handicapped customers welcome. Young – Elderly Handicapped alike everyone gets in on the action! Bass fishing on Lake Erie is considered to be one of the best smallmouth bass fishing lakes in the world, 5 to 7lb bass are common! Captain Dave is a top Lake Erie smallmouth bass fishing charter captain – guide. 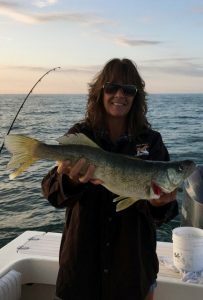 The western basin reefs and Islands of Lake Erie has the finest smallmouth bass charters and arguably the best smallmouth bass fishing trips in the United States can be found near Port Clinton, Ohio. Best months for Lake Erie Bass fishing charter trips. 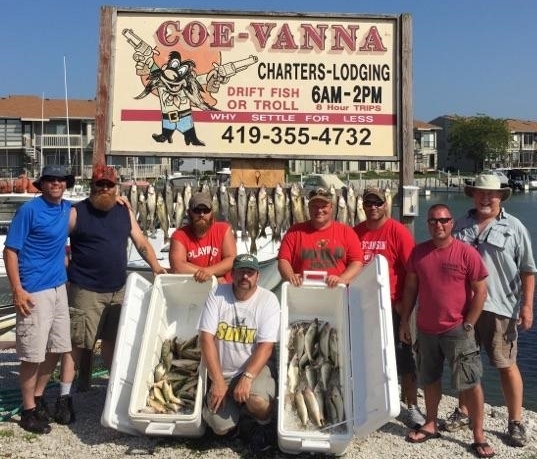 Coe Vanna provides Lake Erie perch charters starting in July and running through October. 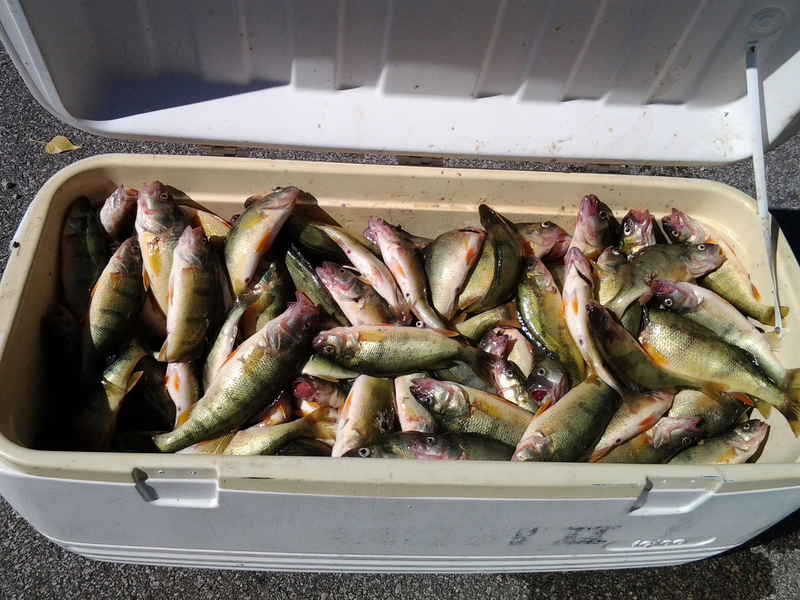 As waters cool in late summer yellow perch schools move inshore and are caught fairly easily. Jumbo perch are caught in deeper water in Sept. and Oct. A great trip for kids – lots of action! Prize table fare – food quality excellent. 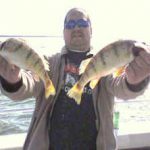 Best months for Lake Erie perch fishing charter trips. 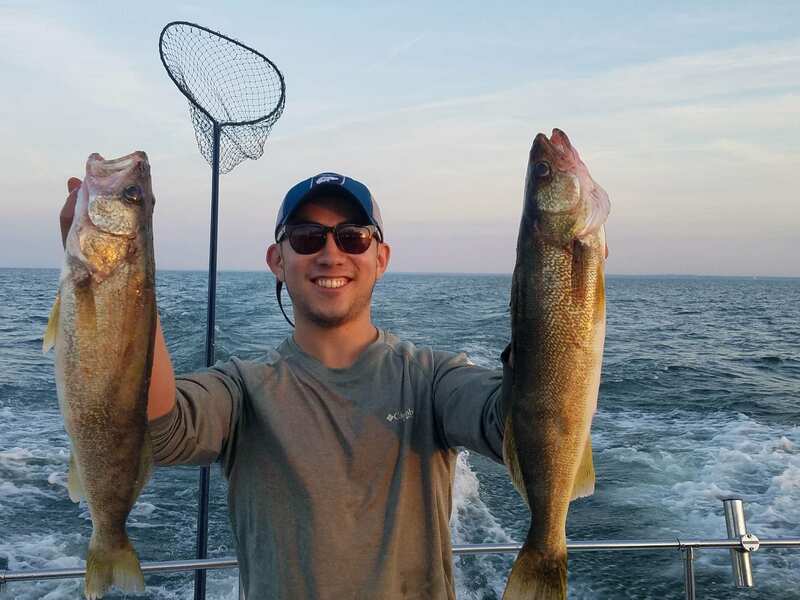 June, July, August, Sept., and Oct.
Walleye, Perch, and Bass are plentiful on Lake Erie’s reefs. Reefs attract fish and the western basin reef complex right by our marina. makes Lake Erie offers amazing combo fishing trips. Lake Erie walleye limit is six per person per day. It is common to catch your walleye limit in a couple hours on Lake Erie. Lake Erie fishing charters and lodging – convenient one call charter and lodging booking. First Class Lodging at our Country Lodge three miles from our marina. 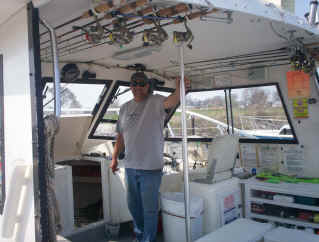 Fishing Charters – Port Clinton, Sandusky, Marblehead, and Toledo areas. Corey was great! We had a fun time. Will be back next summer for sure. Thanks!